The transition to multi-Gigabit serial data links introduces significant signal integrity design and system challenges. At these high data rates, signal integrity becomes the most critical test for determining overall performance and interoperability. 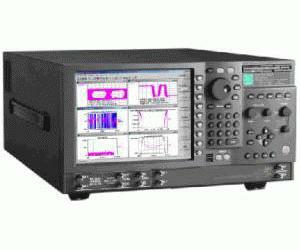 Wavecrest instruments have offered high-speed test capabilities to design engineers for over 10 years. This experience enables us to provide you with all the compliance and diagnostic tools for most serial data applications including Fibre Channel, Gigabit Ethernet, SATA, PCI Express, and Infiniband. The SIA-3600D provides both timing and amplitude compliance measurements in any environment, system or IC, electrical or optical. Clock signals up to 6GHz and Data up to 4.5Gb/s can be analyzed. Compliance tests can be completed in seconds with a simple pass/fail indication for each test parameter. It is the most comprehensive compliance and diagnostic signal integrity test solution on the market today. The SIA-3600D comes complete with the software necessary for serial data analysis and also has powerful software for characterizing Clocks and PLL outputs.